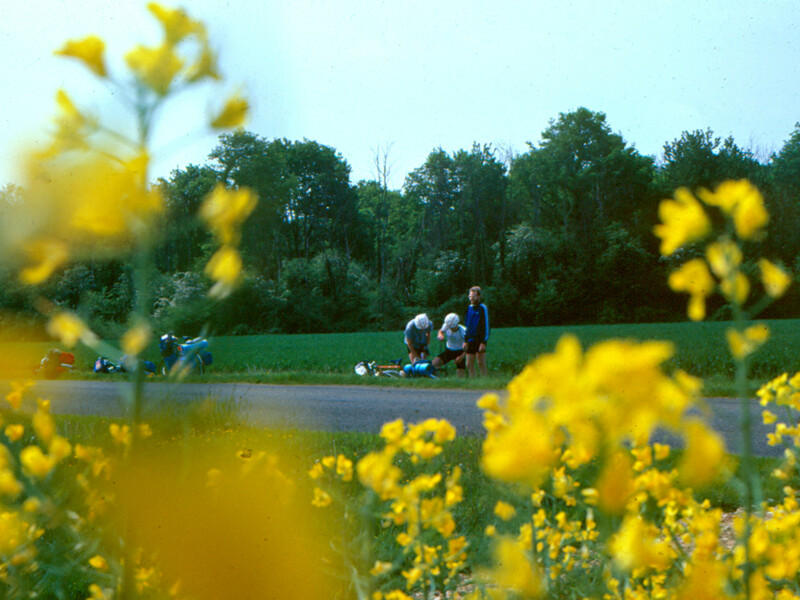 It was a morning in mid-May a few years ago, that we loaded up our bikes to begin day 2 of our ride from Paris to the Loire Valley, this day from Chartres to Orleans. We didn’t hit the road until after we had stopped off for breakfast at a local boulangerie. It would be pretty typical for me to start the day with a croissant and perhaps a pain au chocolat (and quite likely pick up a baguette for the road – to be snacked on, with a big bar of dark chocolate). 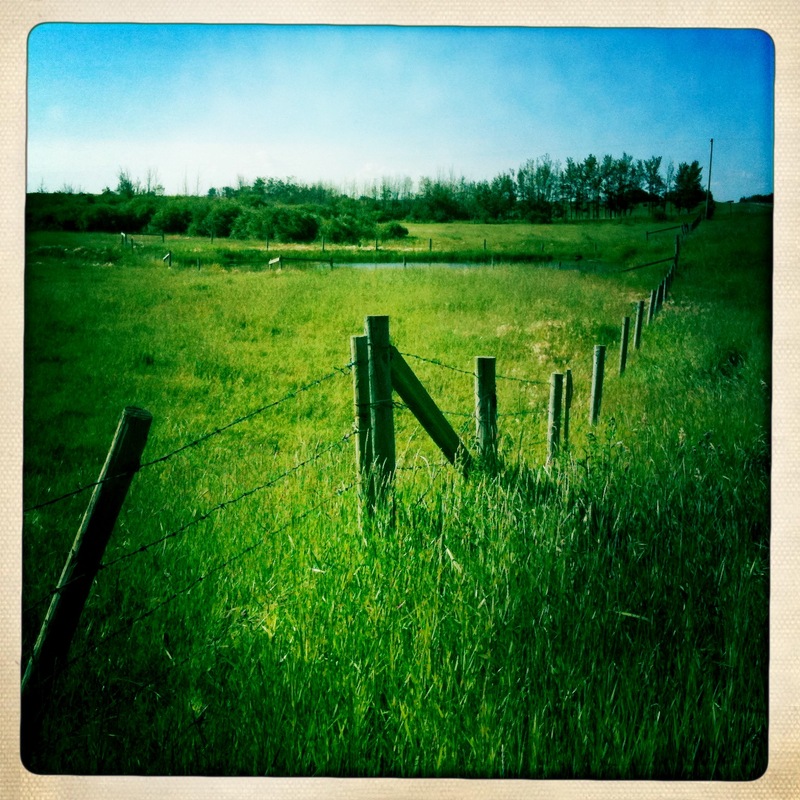 The riding this day was very much a continuation of the riding from the day before – quiet, flat country roads. The weather to was again very comfortable – warm without being hot and sunny with a bit of cloud (particularly building in the afternoon). On these peaceful roads there was not much in the way of hazards or debris but of course flat tires sometimes just happen. This is what happened on this day – Frank was the unlucky one. Fortunately we were well equipped with spares and patches so while I snuck into the field to get a photo, the others took care of business and got us back on the road. 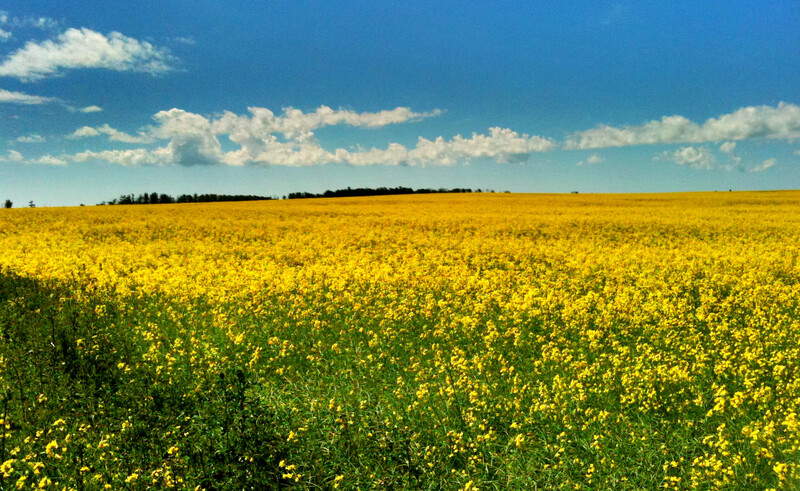 The rest of the day’s ride was uneventful – just a beautiful ride in the french countryside. 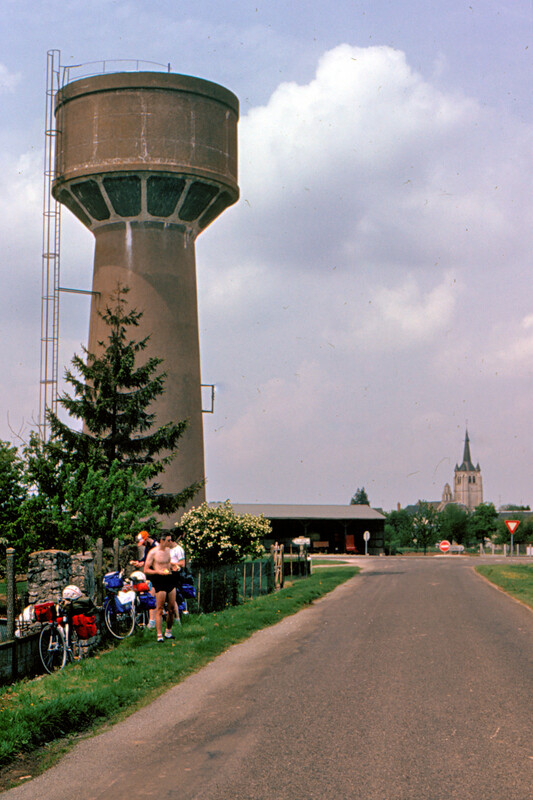 After arriving in Orleans that afternoon,we set up at a local campground then set out to centre ville for dinner. At dinner, I recall I made a classic faux pas. It seemed like a steak and french fries would be a good dinner choice – satisfying and one which I could easily understand on the French menu: Steak Tartare et Frites. I did not know what Steak Tartare was. I would normally have a steak cooked “well done”. Well, needless to say I had a bit of a shock when they brought the dish out. Thankfully Chuck, who had the best french of our group, explained the situation and they took it back and cooked it for me. 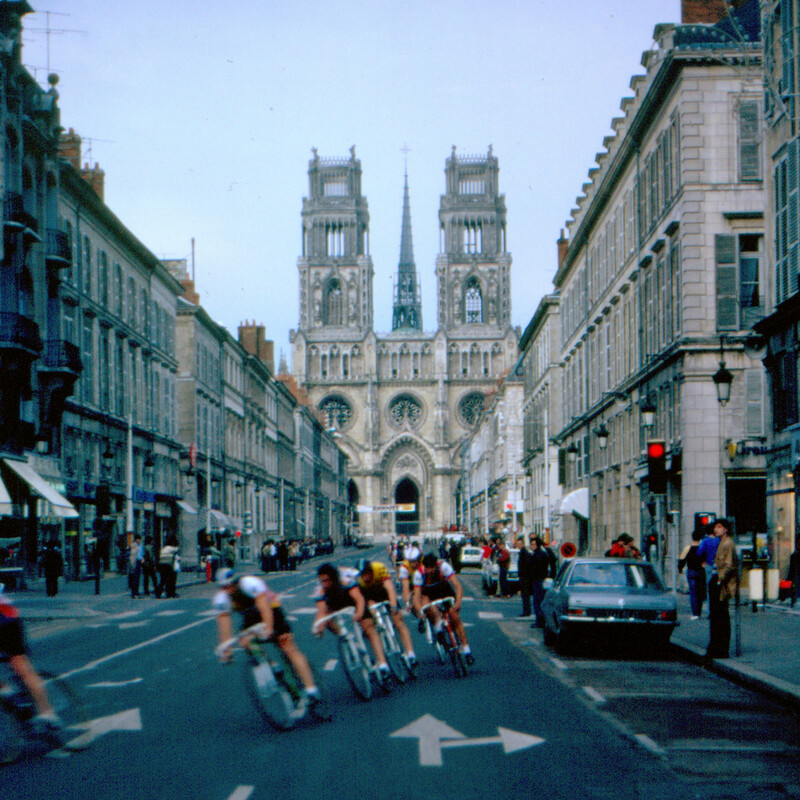 Also while in the centre of Orleans we came across a local cycling race. That of course meant some more photo opportunities before we headed back to camp. Our anticipation was high because the next day we would be starting what we had came there for – to cycle down the Loire Valley and see the historic chateaus. 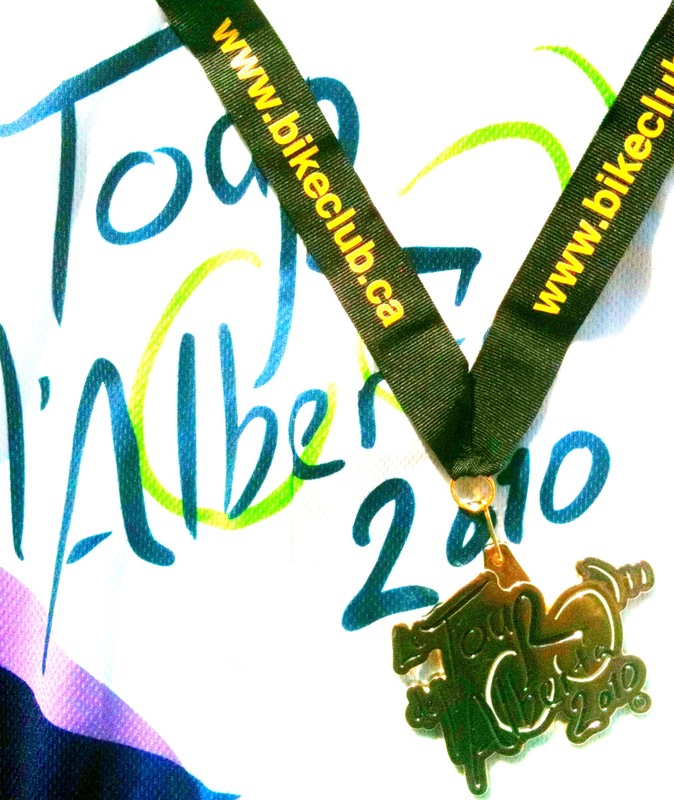 Riding the local one-day Tour de l’Alberta event was the second of my goals for this year of getting back into cycling (the first goal was the Golden Triangle tour). This ride was on Sunday July 25 (coincidentally and somewhat unfortunately the last day of le Tour de France). 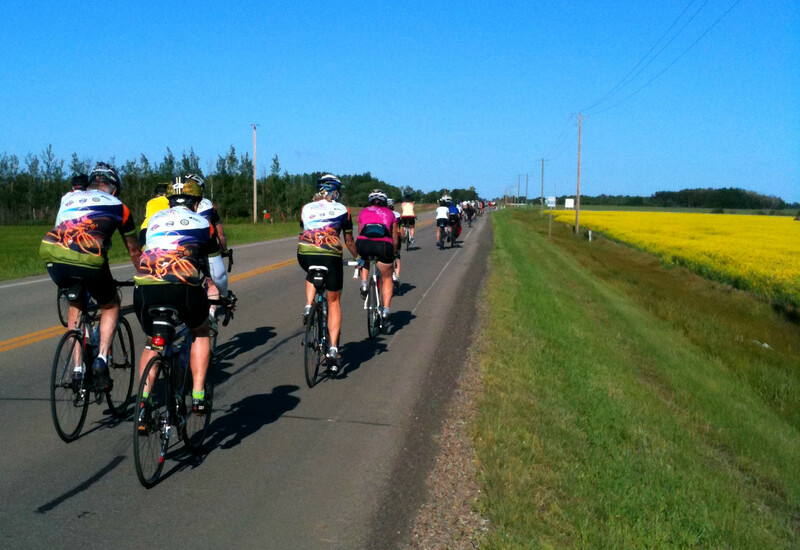 Not coincidentally, this “tour de” has a French flavor to it as the route travels through of the Franco-Albertan communities north of Edmonton.This organized ride (not a race) offered cyclist a choice of 4 distances: 20 kilometers, 50K, 100K and 185K ( as well as a 5K Kid’s Mini Tour). Earlier in the year I was expecting to ride the 185 K distance but without having gotten in sufficient training I scaled back my goal to the 100K. 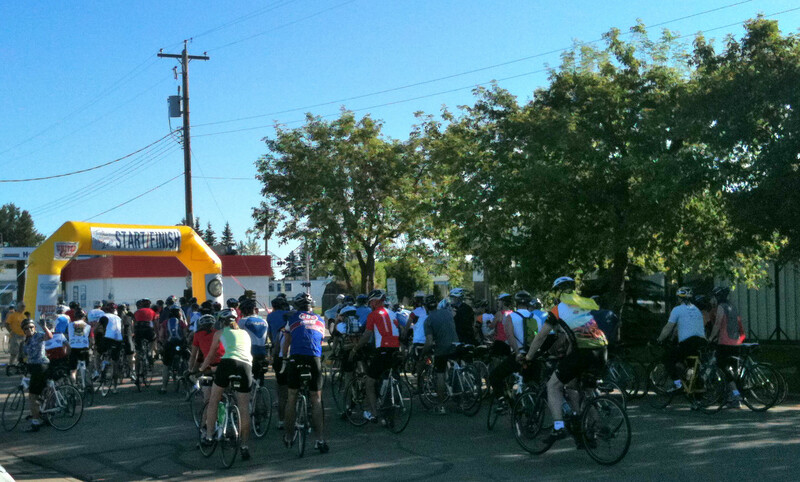 The 100K ride started in Morinville, Alberta at 8:30 AM (an hour and a half after the start for the 185K group). 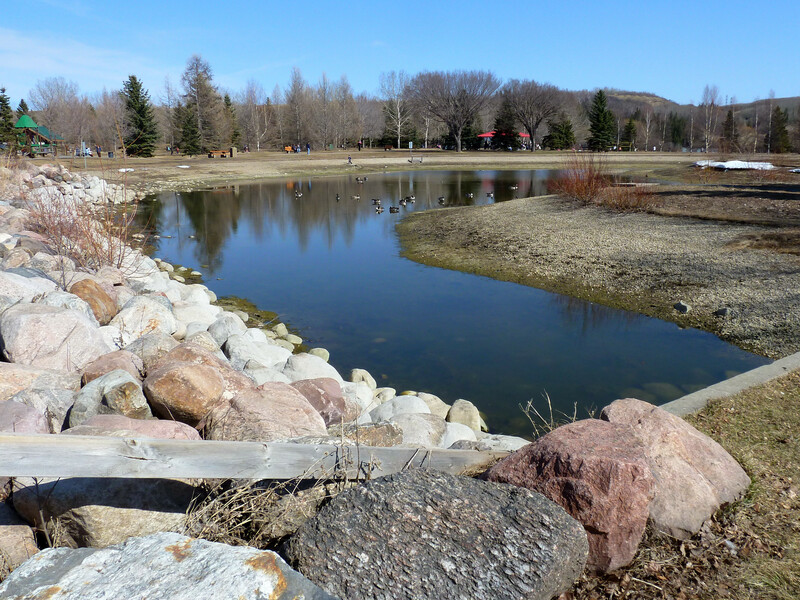 The weather was just about perfect at the start: clear skies, no wind and a temperature of around 16C. I don’t know how many riders chose this distance but out of the 1000 that would do one of the distances I would not be surprised if there were 500 bikes crowding into the starting area. It was good that they controlled the start by letting riders go off in groups of maybe 50, a few minutes apart. Even with that it was pretty crowded on the road for the first few kilometers. 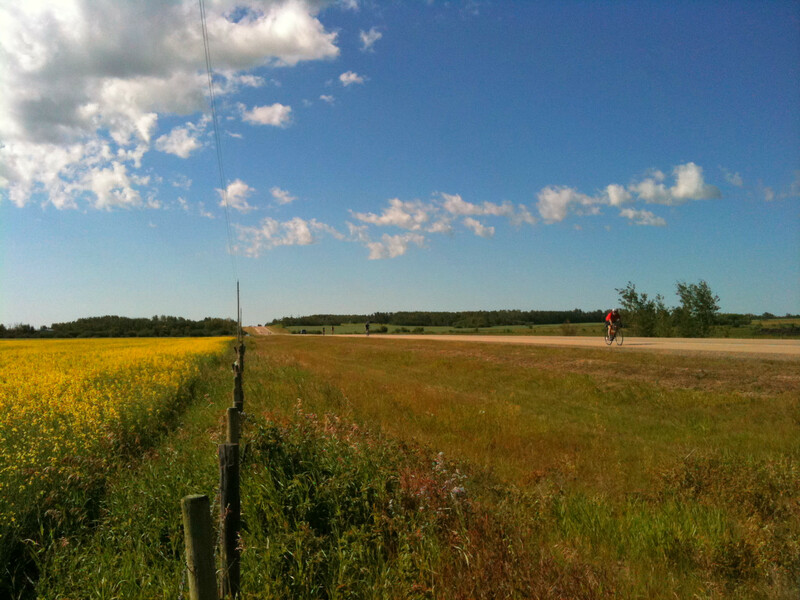 The first leg of the ride headed out west of Morinville along a quiet country road (a 2 lane secondary highway with paved shoulders) towards the first rest stop 22Km away. It is a peaceful morning, with not much vehicular traffic but I am a little nervous riding along so many riders – especially of obviously varying levels of experience. Some cyclists were obviously accustomed to riding in a peleton, others seemed at bit oblivious to other cyclists and road traffic. Nonetheless, no troubles were encountered or observed. 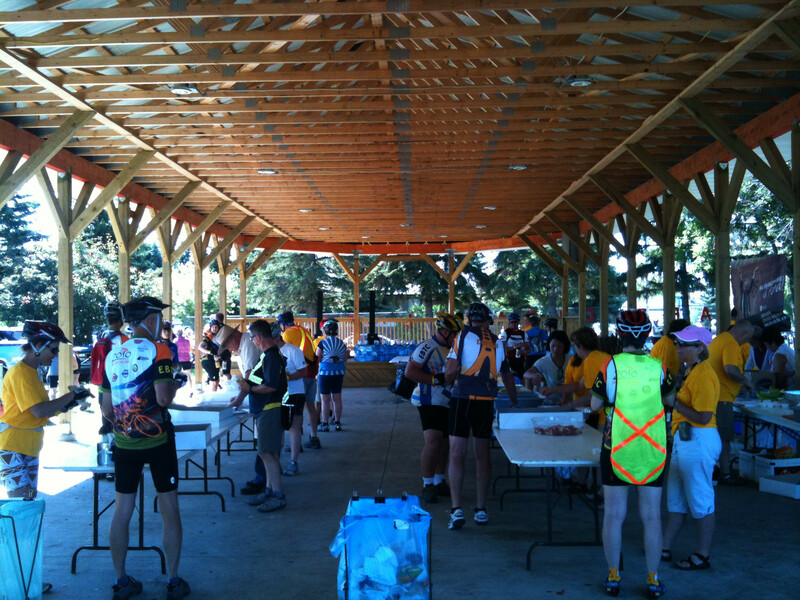 All of the rest stops on this well organized were manned by a bunch of friendly volunteers. 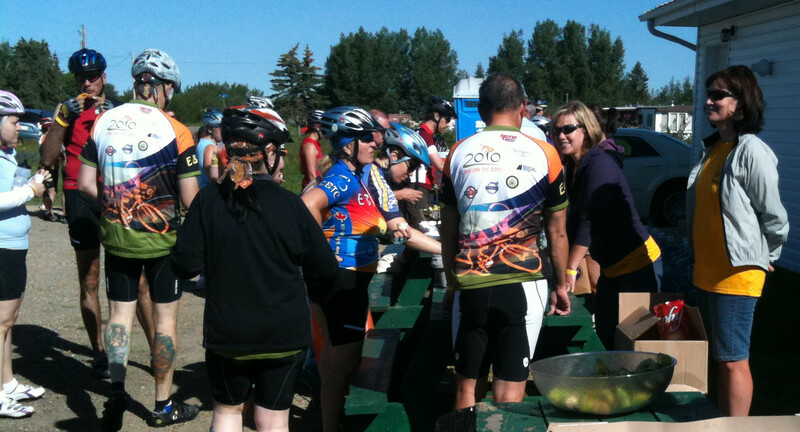 Each stop gave riders a chance to fill up their waterbottle with water or Gatorade and to eat from a wide variety of snacks: fruits, granola bars, muffins, trail mix, candies etc.. 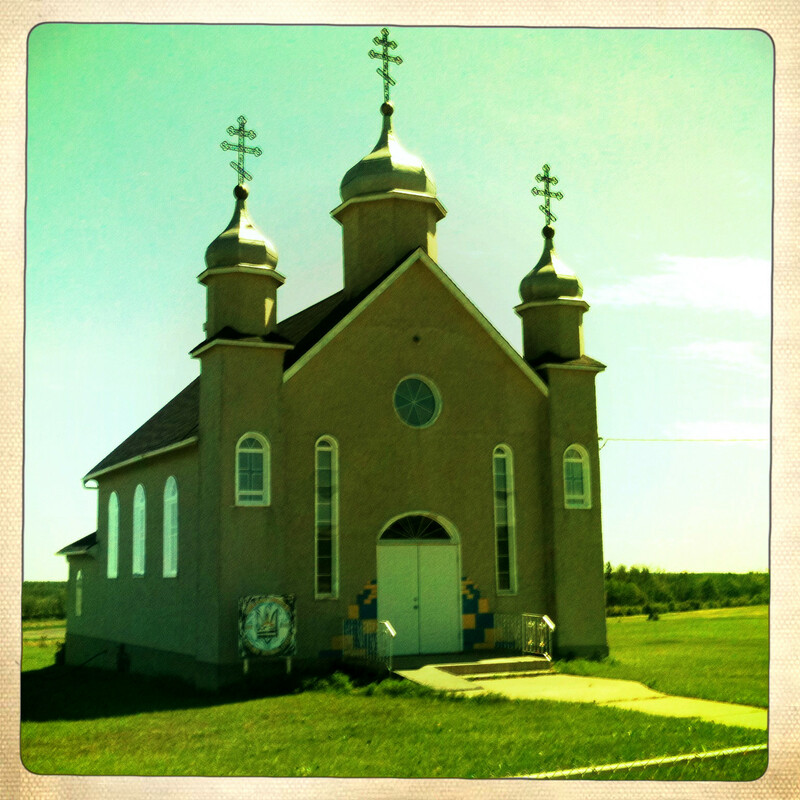 The rest stops were also a chance to use the washrooms but the lineups were long. The second segment of the ride was a 23K trek from Alcomdale to Legal, where the lunch stop was. 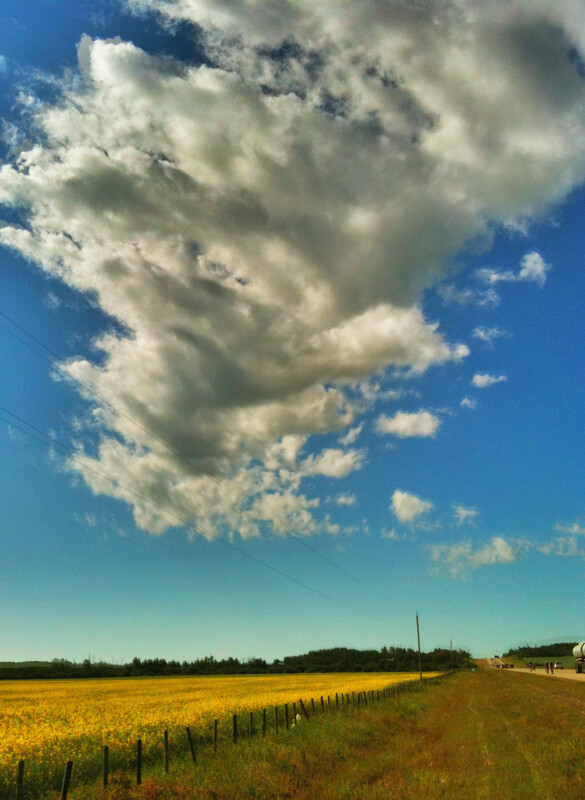 We continued north for another 6.5K before turning east onto highway 651. Although the wind seemed barely noticeable when standing still. I notice a significant difference when making this turn. My eastbound cruising speed went up to about 23Kph from the 18 Kph on the northbound portion. A mere 4 kilometers from Legal I suffered a flat rear tire. I stopped and replaced the tube with a spare I had luckily bought the day before. 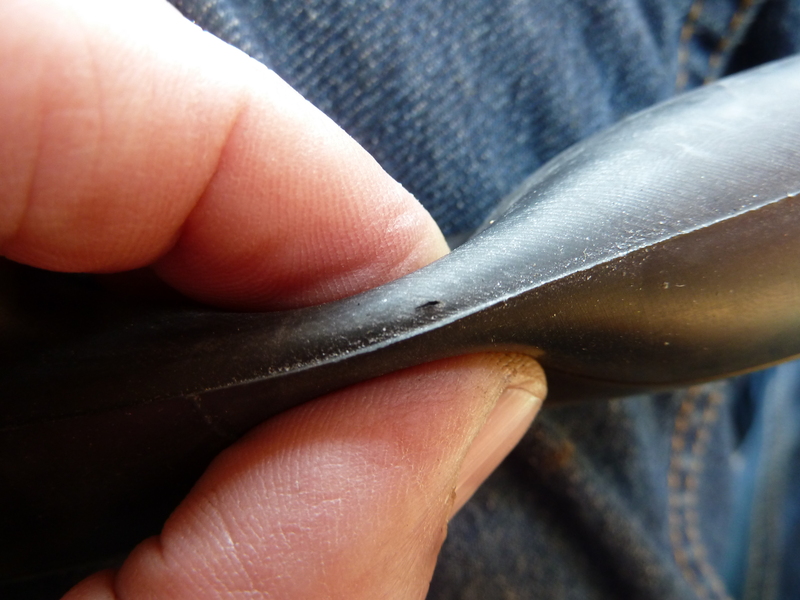 The change went smoothly, I found the shard of glass that caused the flat so I was able to prevent a recurrence in my new tube. I didn’t need assistance but it was sure nice to have offers of help from event support staff in vehicles and on motorbikes, and also to have many of the other riders going by ask if I was okay. Legal was the designated lunch stop so it had a bit more to offer than the typical rest stop. There was music a nice open air shelter and more substantial food including sandwiches. Also in keeping with the french culture of the community the food included tortiere, a traditional French Canadian meat pie. I was particularly drawn to some delicious maple fudge! 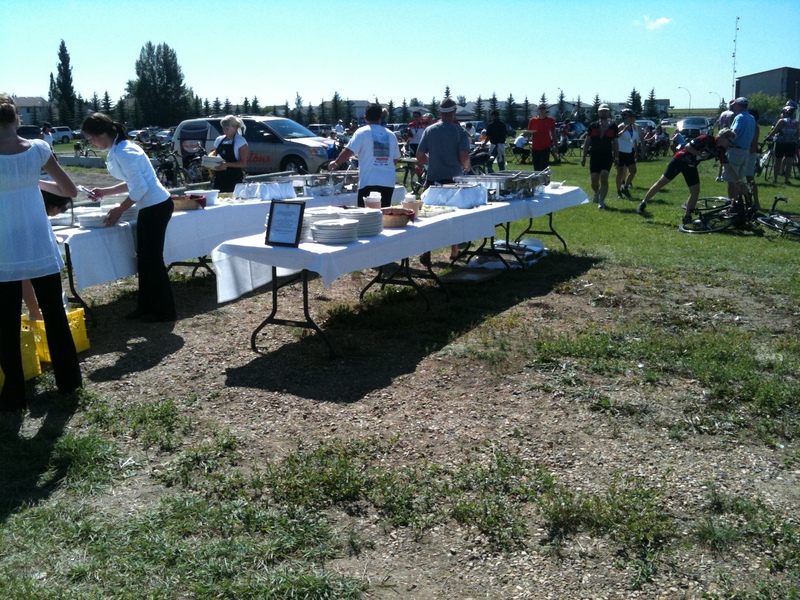 Legal was also the lunch stop for the 50Km ride group so there were a lot of people around. Even though I headed back out after the bulk of the riders, there was still considerable congestion on the road for a few kilometers until the 50K group turned off. Again the eastbound route gave a slight tailwind and after the rest and being fueled by fudge I was flying down this stretch. This 3rd segment of the day to the Lily Lake rest stop was the shortest segment at just 13.6 K and was 3K less than that if you took the stop before a little 3K out and back segment (as I and most others did). 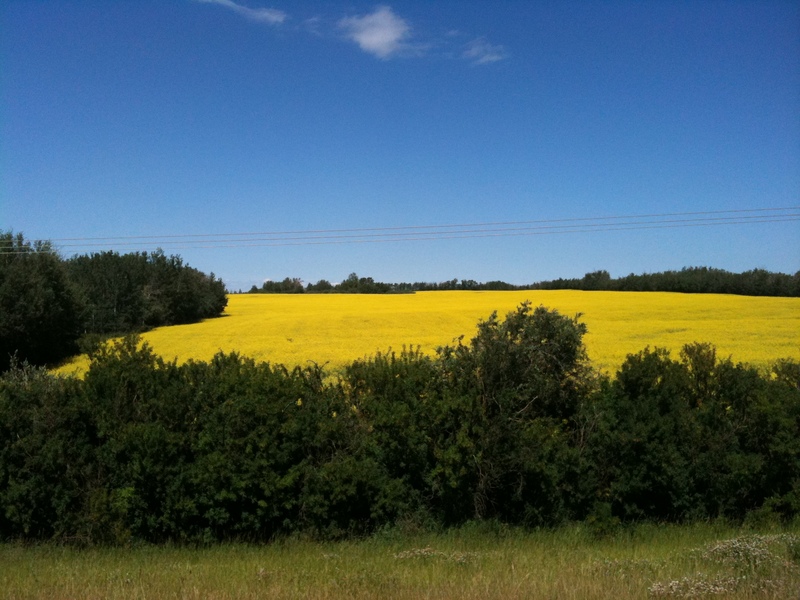 Back on the road again, the first order of business was to head north for 1.5K before turning around and heading south towards Bon Accord. This was a nice little ride offering a few different bits of scenery including some old buildings, some cattle and even a small group of llamas. 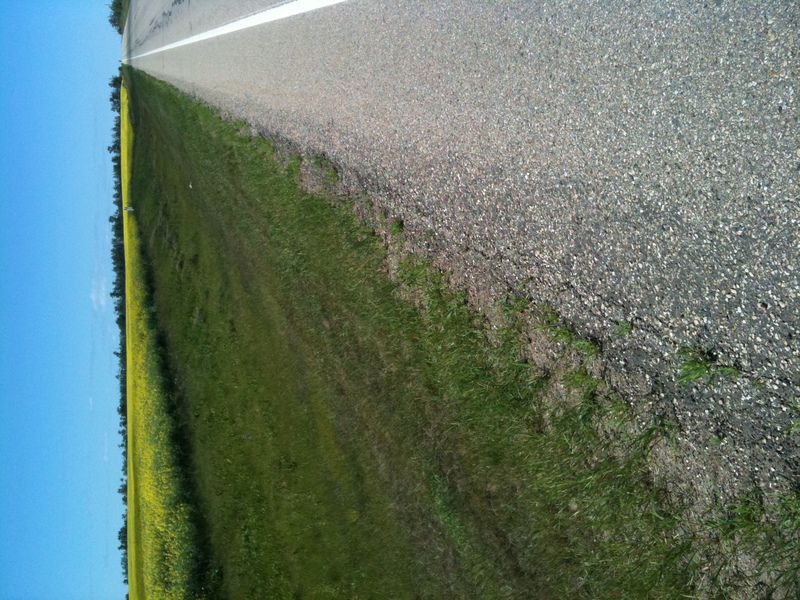 As I rode along towards Rest Stop #4 in Bon Accord I was starting to feel fatigue and was glad I had not attempted the 185K distance. I was going to be okay for another 25K but could not have imagined being only half way through the longer distance. The Bon Accord rest stop was at the local arena and offered the same re-fueling options. After 15 minutes or so, I was back on the road for the final leg of my 100K ride. 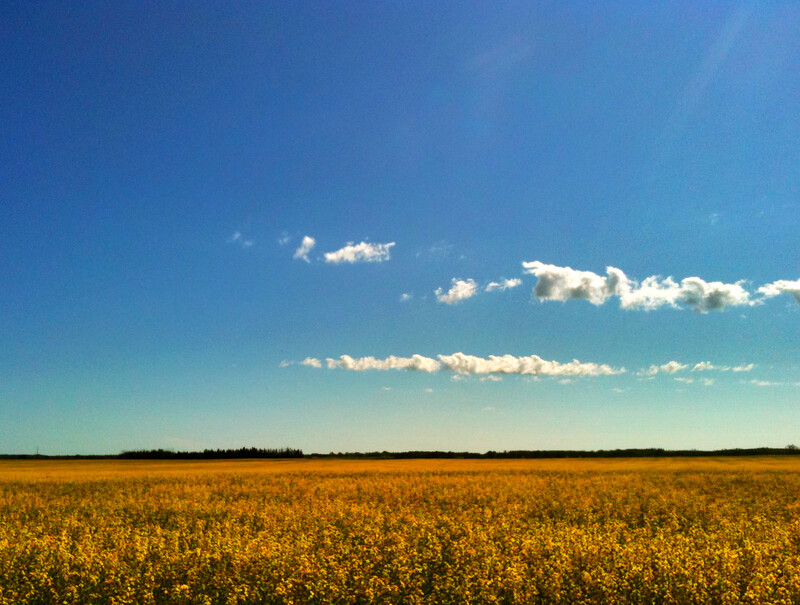 The last few kilometers seemed particularly long and weird. 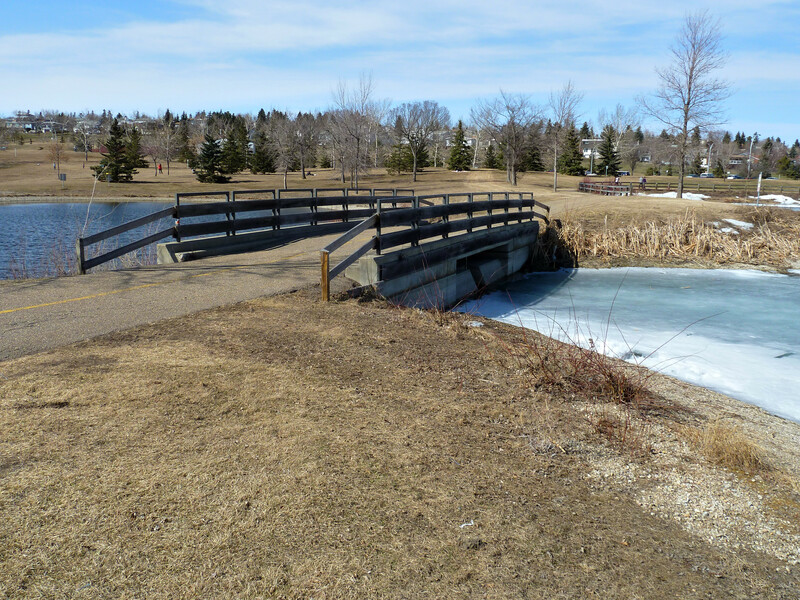 To make up the 100Km distance I suppose, the route turned off the main road through Morinville and south along a long, lonely street through an as yet undeveloped residential subdivision. I saw absolutely no other riders and did wonder if I was on the right route. I never wondered too hard because the route was well marked throughout, with signs posted at every intersection. I did get back to the main road, then it was just a couple of blocks till I turned off and passed through the start/finish arch. At the finish line I was give a finishers’ medallion which I hadn’t expected it). I must admit the cold and tasty “popsicle” at the finish was pretty darn good too! I had been on the road for about 6 hours – with rest stops, photo ops and the flat tire I probably had been in the saddle for about four and a half hours. 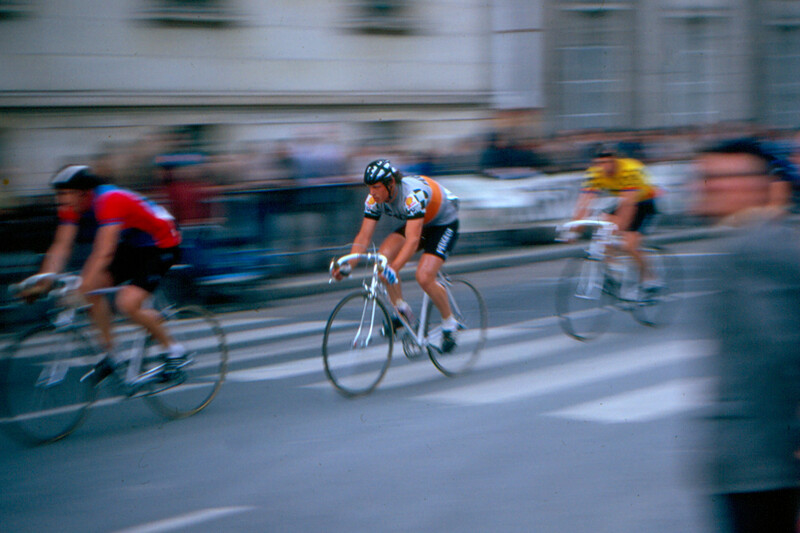 It was at the finish line that I finally ran into someone I knew and discovered that there were a number of others that I knew who had ridden that day too. Funny that I hadn’t run into anyone on the road, but not too surprising given the number of people involved that day. Thanks for the EBTC for organizing this event and all of the volunteers that made it possible!